Whenever I had some free time in between lectures I would go to the supermarket (Intermart, one which is nearby to the university) and make a list of all the stuffs I think I need to buy. It even happened that once the total cost was exaggeratedly high! 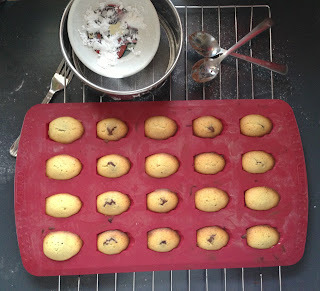 And featured in the list was a Pyrex mini-madeleines silicone mould (priced at Rs 595) that I was desperate to buy - for the sake of baking of course, not that I am a big big fan of madeleines! And a few days after, when I decided to buy the mould, it was gone..GONE! I was like I-should-buy-things-on-a-whim! 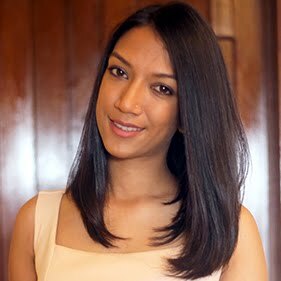 But you know what, last Friday I visited a shop in Port-Louis and bought the same exact mould, same brand and same colour for Rs 385! And that only taught me the never-buy-things-on-a-whim lesson! Anyways, these little madeleines, are spongey, yummy and delicious. 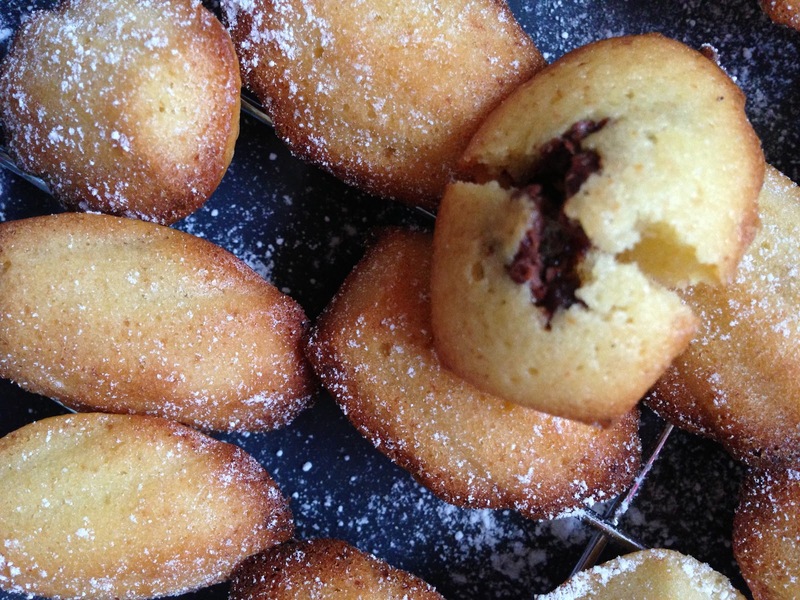 I've filled the centre with Nutella, but you can always skip that step and bake plain madeleines. You can fill them with the jam of your choice too. They are easy, the only thing to keep in mind here is to always fill the pockets (I don't really have an idea how you call that!) 3/4 way, which I didn't care to do, out of being in a hurry. 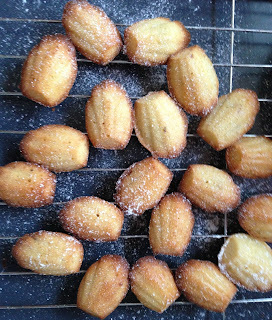 The downside is only extra sides to the madeleines, or if the pockets are too close the madeleines will stick together. If you don't have a madeleine mould yet, I recommend buying a silicone one, you don't have to grease and butter it. 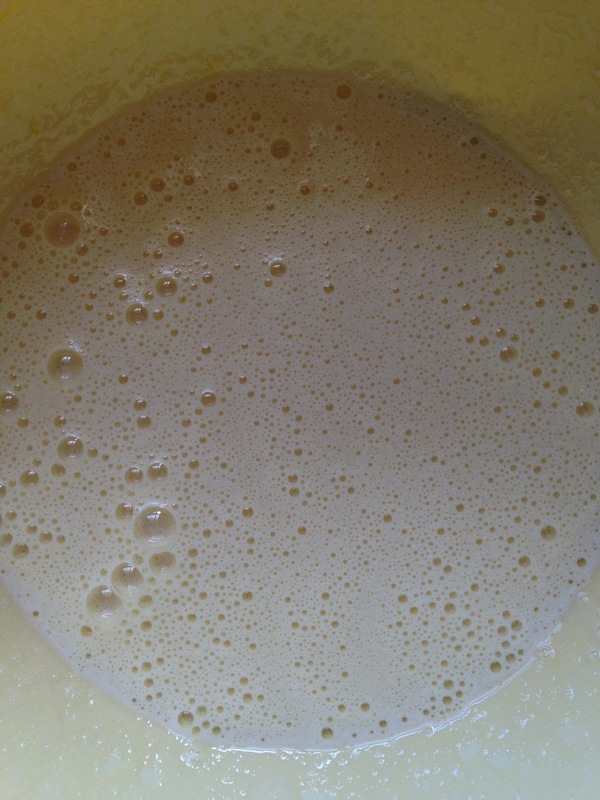 And turning out is easier, no sticking. 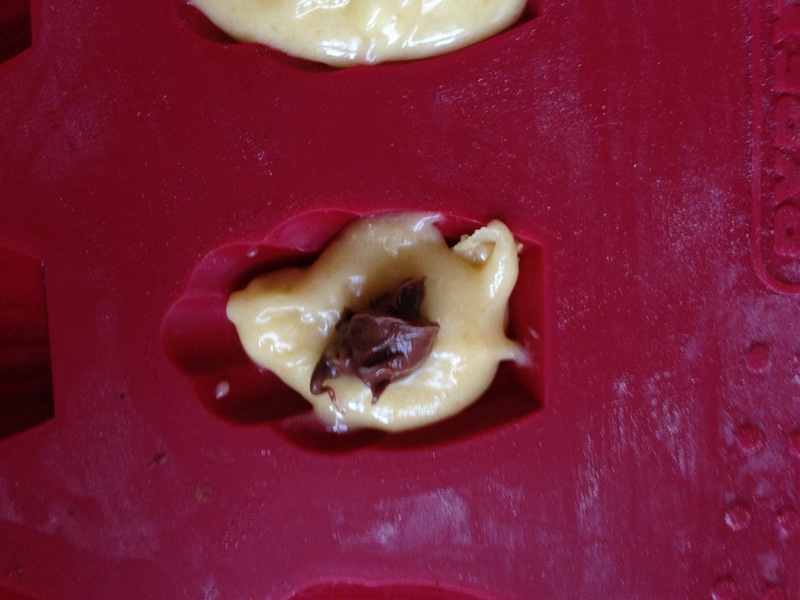 Begin by melting the butter in the microwave for 15 seconds. You will notice there will still be soft lumps, just mix with a spoon and they will melt with the heat of the already melted butter. Set aside. 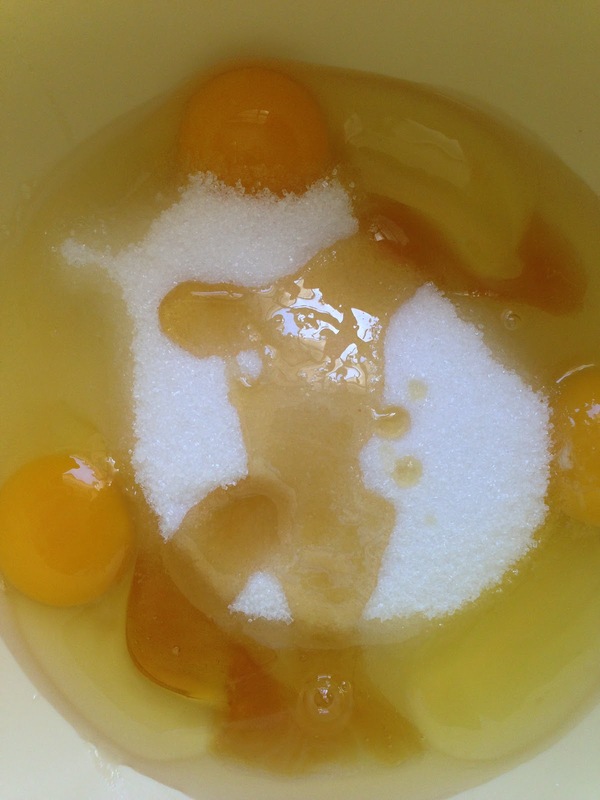 Combine the eggs, honey and sugar together and using your hand mixer, beat until doubled in volume. Mix the yeast and flour together. 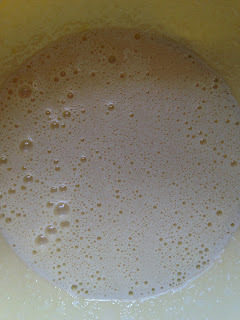 Add to the egg mixture. 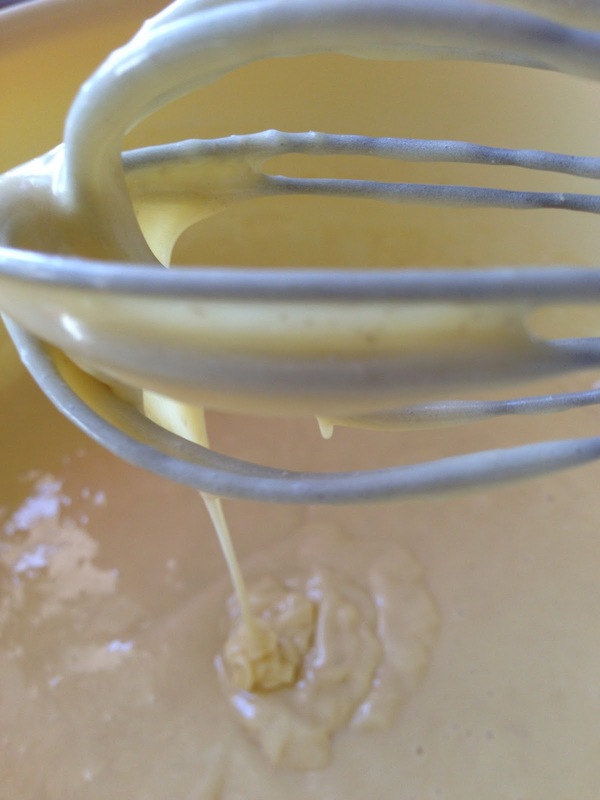 Finally add the cooled butter and vanilla extract. Mix well. Spoon the batter and using another spoon, drop it into the pockets while filling 3/4 to the way if you want plain madeleines. 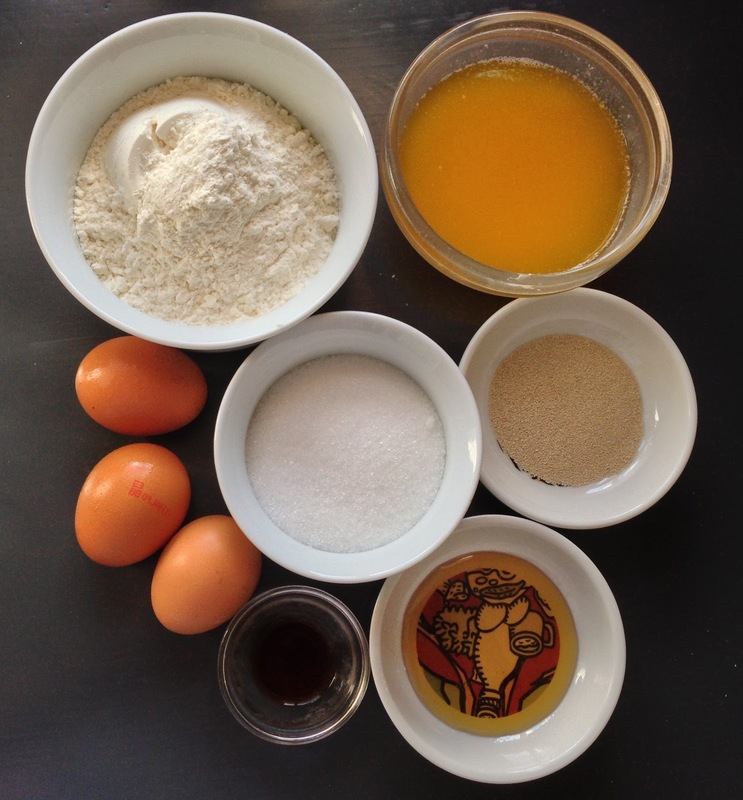 Put in the oven and reduce the temperature to 200˚C. When the madeleines are golden in colour, remove from the oven, turn them out and place on a cooling rack. 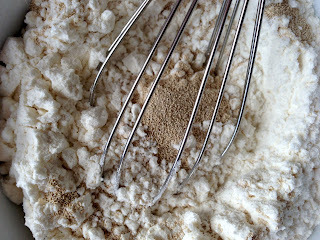 Dust with icing sugar if you feel like it!